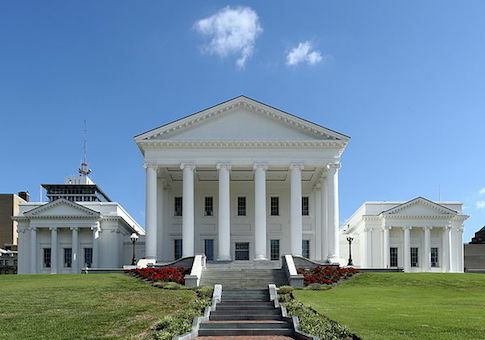 A Virginia study concluded that the commonwealth’s tax incentives – whether they be tax credits or tax exemptions – do not provide much return as an economic investments. The study, conducted by the Joint Legislative Audit and Review Commission, found that grants were more effective between Fiscal 2010 and Fiscal 2017. According to the study, nearly 60 percent of incentive spending was through tax incentives. The state spent $835 million on tax exemptions and $180 million on tax credits. About 42 percent was spent on grants, which was $715 million. The remaining $25 million were spent on other incentives, which include loans and gap financing programs. Ellen Miller, chief legislative analyst for the JLARC, told Watchdog.org that there are two primary reasons for grants being more useful than tax incentives. First, she said that the state sees more economic benefits from programs targeting businesses that sell most of their good or services out of state, pay high wages and rely on local suppliers. "Businesses within the manufacturing sector are a good example of a type of business that should have these characteristics," Miller said. "Virginia's grant programs are more likely than the tax incentive [programs] to target businesses, like manufacturers, that have these characteristics." Secondly, Miller said there will be more economic benefits from programs that require job creation and capital investment, which are commonly required through grant programs, but less likely to be required in incentive programs. "Virginia's grant programs also typically have minimum requirements for job creation and capital investment," she said. Because of these findings, Miller advised the state legislatures to consider converting current tax incentive programs into grant programs, instead. Additionally, she said legislatures could "develop a policy that new incentive programs should be established as grants to increase the return to the state from its spending on incentives." Mike Thompson, the president of the Virginia-based, free-market Thomas Jefferson Institute agreed with the assessment that grants are better, but said that grants should still be avoided in most cases. Although he said that tax credits are helpful for getting students out of failing schools, the government should not employ policies that attempt to pick winners and losers in the marketplace. "Grants are better but still pick [winners] and losers," Thompson said. Additionally, Thompson said that the best policy to increase economic growth would be to stop spending billions of dollars on tax incentives and instead lower the overall tax burden on citizens and their businesses. This entry was posted in Issues and tagged Taxes, Virginia. Bookmark the permalink.